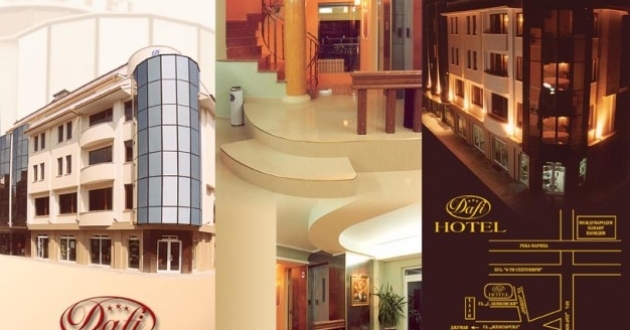 Location: Dafi Hotel is located in the very heart of Plovdiv, 2 minutes walk from the main laking promenade and 5 minutes walk from Roman Stadium, Mosque Jumaya and Plovdiv Old Town. Accommodation: The Dafi Hotel offers accomodation in 22 rooms - doubles(twins), studios and suites. The comfort in your room is provided by modern insulation and central heating system. All rooms are furnished with taste and have cableTV, telephone, free Wi-Fi and mini-bar. The suites are in exqusite retro style and have a jacuzzi. In the hotel: Restaurant with Bulgarian dishes, and salad bar.